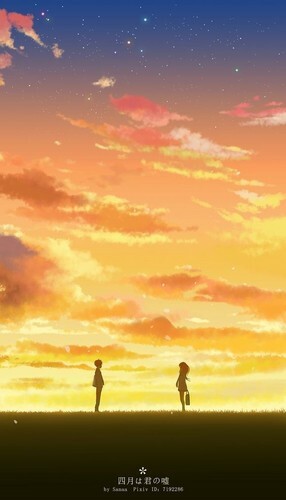 Kousei nd kaori. The distant feeling of your presence!! Will never forget it!!. HD Wallpaper and background images in the Shigatsu wa Kimi no Uso club tagged: photo.